Nikoli is the first puzzle magazine in Japan. We are "NIKOLI Co., Ltd." and publish a wide range of puzzle magazines and books. 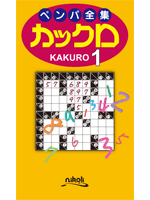 Volume with all puzzles of Pencil Puzzle Book Kakuro 4-6. This book contains 276 puzzles. 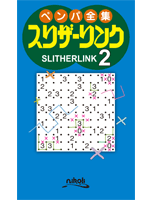 Volume with all puzzles of Pencil Puzzle Book Slitherlink 4-6. This book contains 288 puzzles. 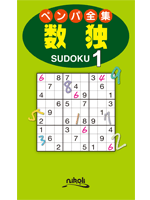 Volume with all puzzles of Pencil Puzzle Book Sudoku 1-3. This book contains 297 puzzles. 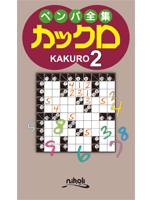 Volume with all puzzles of Pencil Puzzle Book Kakuro 1-3. This book contains 271 puzzles. 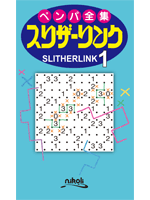 Volume with all puzzles of Pencil Puzzle Book Slitherlink 1-3. © 2001- NIKOLI Co., Ltd.